Brand Survival | Rozdeba Brand & Co.
Jim Mullen founder of Mullen Advertising said, “Of all the things that your company owns, brands are far and away the most important and the toughest. Founders die. Factories burn down. Machinery wears out. Inventories get depleted. Technology becomes obsolete. Brand loyalty is the only sound foundation on which business leaders can build enduring, profitable growth.” But so often, these business leaders fail to understand this and stick to what they know, which is to continue to withdraw on their brand loyalty and continue down the wrong path. There are thousands of brands that have come and gone and hundreds that are the walking dead. Learning from mistakes is always harder than justifying enormous brand successes. 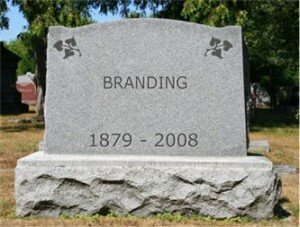 The graveyard is full of interesting stories of how not to build and sustain a prosperous brand. The truth is brand loyalty isn’t what it used to be. There was a day, people who drove a Ford drove Fords their whole lives. Not anymore. In 2008, Nokia was ranked as one of the most valuable brands in the world. New Yorker writer James Surowiecki says Nokia failed to keep up with the competition in the smartphone game and relied on its past brand strengths. “The high-tech era has taught people to expect constant innovation; when companies fall behind, consumers are quick to punish them.” Nokia was punished and is no longer in the mobile phone business. In a 2009 study done by Sunil Thomas and Chiranjeev Kohli at the Kelley School of Business, Indiana University, they concluded that brand managers must always be vigilant “for signs of brand decline, in the form of problems with brand knowledge, brand differentiation, and customer response.” But high levels of brand awareness and positive brand image isn’t a sure bet that your brand will survive the difficult times. It’s easy to build a brand on innovations. It’s much harder to sustain a brand on past innovations and successes. Kodak didn’t envision a future without film. Remember the Pet Rock? 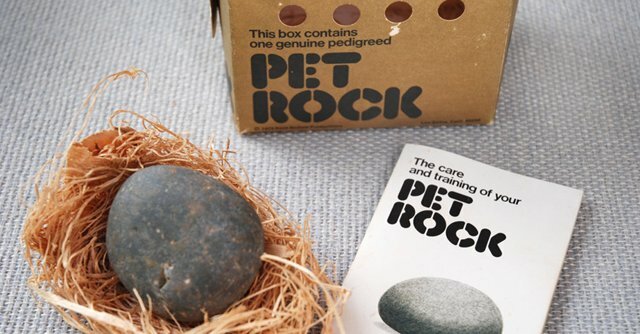 In 1975, Gary Dahl an advertising executive conceived and marketed the Pet Rock. In less than a year, he sold 1.5 million for $4. It became an instant success story that was never repeated. Remember the first time you had a Krispy Kreme? I do. There was a time the only Krispy Kreme store in Canada was in Toronto. Every time I flew back from Toronto, I took an hour detour to pick up a dozen of Krispy Kreme donuts and carry them on the plane. Everyone would look in awe and I was a true hero at home. I also remember the first visit to the Krispy Kreme that opened in my city. But, today you can’t find a Krispy Kreme anywhere and my waist thanks them. Was it bad luck with a major shift towards healthier diets and Atkins or was it just bad management? Andy Sernovitz author of Word of Mouth Marketing says brand overexposure was part of the problem as they offered cold packaged Krispy Kreme in stores and gas stations everywhere. But they also lost focus from the exclusive experience of customers waiting in line to taste the amazing hot and fresh doughnut made to order. The story goes that Arnold Schwarzenegger saw a convoy of military HumVees driving down a highway in 1989 and immediately he had to have one. We know from history that Arnold gets what he wants. 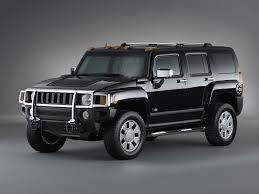 AM General worked with General Motors to supply a civilian version called the famous Hummer. It was a great success as other affluent Arnolds stepped forward to have the privileged to feel the power of a tank stuck in traffic gridlock. Sales peaked in 2006 and the last Hummer H3 rolled off the line on May 24, 2010. High gas prices and the ever increasing pressures by the environmental movement made the Hummer brand symbol unpalatable as a gas guzzler. Eventually, even Arnold sold his seven Hummers for a reported $950,000 to conform with other Californians. It starts with the fear of alienating current users by changing too much, too quickly. This is your bread and butter, so you want to make sure they are happy. 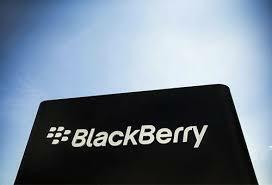 Kodak and Blackberry are great examples of trying to stay in the past and trying to meet the future at the same time. They both failed. Allen Adamson Chairman of North America Landor Associates explains that Kodak “failed to seize the day in terms of moving away from the existing cash cow to figure out how to live and fight the future.” Today, Blackberry is trying to reinvent itself to find its vision again. Meanwhile, most of its customers are finding other solutions. I am now on my second iPhone since leaving my crackberry. Remember the Friday or Saturday evening trip to Blockbusters to rent a new release movie? The writing was on the wall as cable companies, internet providers and Netflix’s offered seamless video streaming at home. But, Blockbusters stayed the course except for extending their late fees charging, which they accumulated over $800 million, which I don’t miss contributing towards. There are many other brands (such as Circuit City, Future Shop, Olympus, Barnes & Noble, Borders, H&M, to name a few) facing significant disruption from new technologies and digital innovations that will keep the brand gravedigger busy for a longtime. Unless they embrace drastic changes, but in some cases its too late. The airline industry is notorious for building new airline brand then watching them fall from the sky (in some cases literally). Severin Borenstein, an economist at the Haas School of Business at U.C. Berkeley says “The industry in aggregate has lost about $60 billion over the 32 years since 1978. 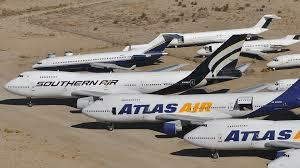 The biggest mistake they seem to make is not making money.” Wikipedia has a list of defunct airlines by country. I counted over 430 USA airline brands and over 105 Canadian airline brands no longer taking off. Remember, Eureka Aero, Mohawk Airlines, Zip, Greyhound Air, Roots Air or Pride Air? TWA, owned by Howard Hughes and Pan Am were the first airlines to fly around the world. They pioneered many innovations such as jumbo jets, computerized reservation systems, in-flight meals and much more. Sadly, they are both gone. In the last year, Malaysia Airlines has lost two planes carrying 537 passengers who didn’t make it to their destination. Malaysia Airline is also not in the best financial shape. Will travelers avoid this cursed airline? I am not sure if I would take the chance knowing that there are many other airline options. The automotive industry has a similar story, but theirs are less about the business model and more about quality issues and costs. Check out the defunct USA auto list. The list is very long! Some brands that came back from the dead and are flourishing today are Lego, Marvel comic books, Old Spice, Apple, Nintendo and Volkswagen. In this new digital reality, innovations are being launched at lightning speed, copied overnight, and improved upon continuously. If you freeze in indecision or blink your brand has a good chance it won’t survive. R.I.P.